Ischia Review explores the modern trend of agriturismo holidays to Italy and in particular, Ischia. For many reasons, such as low-cost airlines, the knowledge provided by the internet and man’s unshakeable desire for adventure and new experiences, the modern-day tourist has become a rather fussy animal. No longer satisfied with simply lying on a beach for two weeks, traveller’s wings now spread far wider and to all parts of the globe in the search for something different. “Agri-tourism” as it’s known in most of the world has been one of the biggest benefactors and beneficiaries of the current trend towards trying out new experiences and new places. Today’s world has never seen such a huge focus on ecological and environmental issues with the threat of global-warming looming ever larger and governments struggling to satisfy popular demand for change. Into the breach that has been opened by these factors, agri-tourism has slipped into the consciousness and its popularity is on the increase. Farms that once struggled to cope with the disastrous world economy have started to understand how a new income stream can sustain their businesses but also provide a fascinating diversion with new encounters and friends to make in the process. Italy has long been famed for its culture, its history and its warm climate, but without exception, the biggest source of pride to any Italian is the cuisine provided by his or her homeland. As a matter of fact, Italians are more likely to sing the praises of their own region or town’s cuisine rather than that of Italy as a nation. Fiercely proud cooks and connoisseurs abound in a country that has provided the world with modern-day staples such as pasta and pizza, a range of desserts that are envied the world over and of course a range of wines that have formed an important part of the peninsula’s economy for thousands of years. So it is only natural that “Agriturismo” as it’s known in Italy, should be such a huge hit with eco-travellers and those people who have tired of the format of a traditional holiday. Italy’s glorious countryside and the incredible fertility of its land have ensured that the food produced in its farms and factories is in massive demand from every corner of the globe. Dairy products such as Mozzarella, Parmesan and Ricotta fetch high prices on supermarket shelves while Italian wines continue to be held in the highest possible regard. Any Italian will tell you however, that the food produced in Italy is at its best when eaten fresh and it is on this point that the role of the agriturismo becomes clear. The credentials of Italy as a traditional tourist destination are well-established with its historic cities, picturesque countryside and seaside resorts some of the most popular in the world. This coupled with the Italian penchant for great food and hospitality mean that the term “agriturismo” is now synonymous with an experience that provides excitement for the mind, body, spirit and taste-buds. There’s no set format to an agriturismo, some are farms that have added a few rooms for guests, there are vineyards where you can taste the produce under the guidance of those that have grown it, or simply restaurants that serve dishes made from their own vegetables, meat and dairy-products. In many cases it’s possible to actually work on the farm for the time of your stay and to learn how the food has been produced and of course to enjoy its produce. Most regions in Italy now have a good selection of agriturismo accommodation and restaurants with experience of looking after their guests for many years. In most, you’ll find a range of comfortable rooms in traditional farm-houses that have adapted to the needs of modern tourism by adding facilities such as swimming pools, dining areas and even WI-FI. Agriturismo is now a firmly established aspect of tourism in Italy and offers much to the already-initiated and to those who are yet to experience it with a wide-range of options and types of holiday on offer. So whether you’re looking for something new, something different or even something just to delight the taste-buds, Agriturismo is waiting to be discovered. 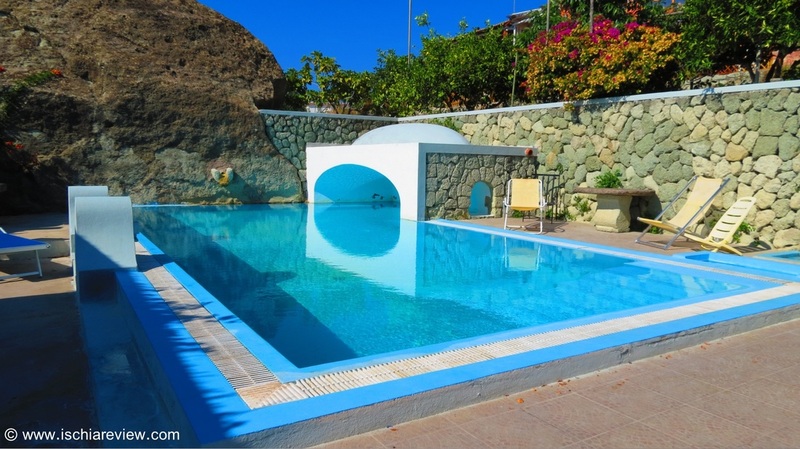 Ischia Review offers you a number of agriturismos on the island where you can spend your holiday. 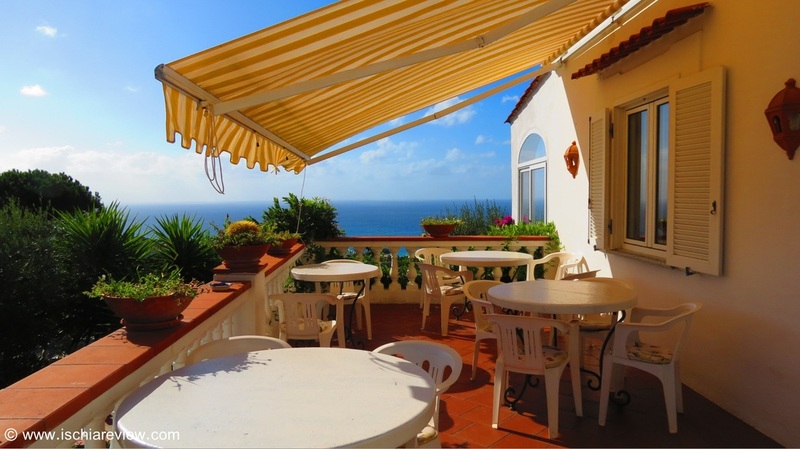 Ischia has a great selection of agriturismo restaurants which you can visit just for a meal.